There is a ton of tech packed into this handful of electric-blue. 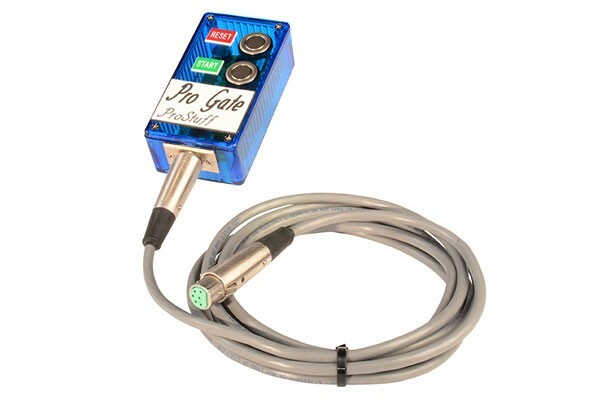 The Gatekeeper Brain Box by Pro Gate has simple-smart two-button controls for your man on the hill. Plus, for the Track Operator who wants to dial-in perfection before race-day, our custom software allows you to control the drop velocity of the gate from one interface. Arrives with programming instruction sheet. The modular cable (sold separately) locks all components together securely, and allows you to perform a quick change in case a rabid BMX dad bites through it after a tough beat. Standard length is 10 feet, but custom lengths available.